Study the diversity of fish with these pre-stained, lyophilized proteins. Total protein from Perch, Walleye and Salmon is extracted and pre-stained using an indicator dye. 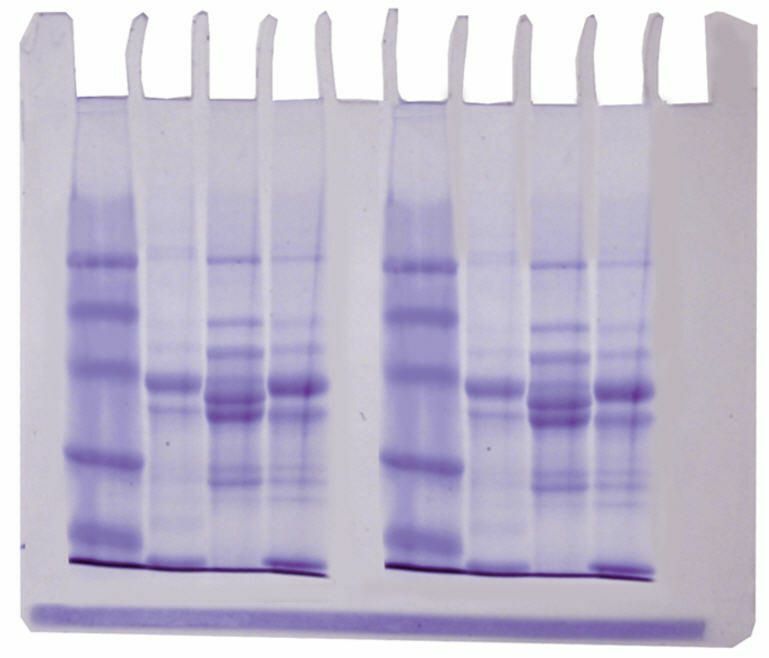 Each fish protein sample has a characteristic banding pattern when separated by denaturing SDS-polyacrylamide gel electrophoresis, which can be used to identify the specific species. Kit comes with enough materials for 3 groups of 2. 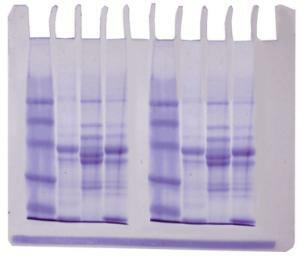 Electrophoresis can be completed in 60 minutes, with an additional 2.5 hours allotted for staining/destaining. Ordering information: Kit includes: instructions, fish LyphoProtein™ samples, protein molecular weight standards, practice gel loading solution, buffer, Protein InstaStain®. Needed but not included: 3 polyacrylamide gels (12%), vertical gel electrophoresis apparatus, power supply, microcentrifuge, hot plate or burner, vortex, white light visualization system, automatic micropipet with fine tips, test tube holders, lab glassware, methanol, glacial acetic acid, distilled water. Packaging: Some components require freeezer storage upon receipt.